Have been busy repairing some arbours and a tunnel at Range High School, Southport. 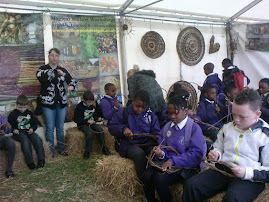 The structures had not been touched for a year so there was plenty of weaving in to do. The weather continues to be bright and sunny. Tomorrow we will be planting some more cuttings at our new willow beds.